Vida Rochelle Blue Jr. (born July 28, 1949) is a former Major League Baseball left-handed pitcher. During a 17-year career, he pitched for the Oakland Athletics (1969-77), San Francisco Giants (1978-81; 1985-86), and Kansas City Royals (1982-83). Blue, the oldest of six children, was born and raised in Mansfield, Louisiana. In high school he was a star pitcher for the baseball team and also was a star quarterback in football. He received several offers to play college football as well as baseball, but his father died suddenly. Blue went with baseball, citing the sudden death of his father, and signed a contract with the Oakland A's. Unlike many southpaws, Blue was a power pitcher that worked fast and pounded the strike zone. He possessed a few crisp off-speed pitches, but his bread and butter was his near 100 mile per hour fastball. In The Neyer/James Guide to Pitchers, all-time hits leader Pete Rose stated that Blue 'threw as hard as anyone' he had ever faced, and baseball historian Bill James cited Blue as the hardest-throwing lefty, and the second hardest thrower of his era, to only Nolan Ryan. 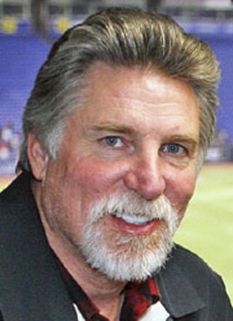 Blue made his major league debut in 1970 as a September call-up. He made two starts for the A’s that season and gave a glimpse into what was to come in his stellar career. 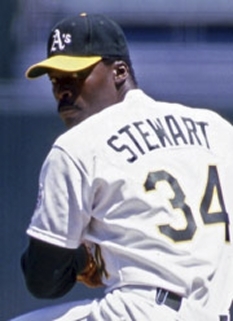 On September 11, he shut out the Kansas City Royals 3-0, allowing only one hit in the eighth inning. Ten days later, he no-hit the Minnesota Twins, 6-0, at Oakland-Alameda County Coliseum, with the lone baserunner being Harmon Killebrew, who walked in the fourth inning. The following season, Blue had a 24-8 record, winning both the Cy Young and MVP awards. He also led the American League in complete games (24), shutouts (8) and Earned run average (1.82). Only one other starting pitcher, Roger Clemens in 1986, has since won the MVP and Cy Young Award the same year. That season, the Athletics won the American League West title for the franchise's first postseason berth since the 1931 Philadelphia Athletics played in the World Series. He was the youngest American League player in the 20th Century to win the MVP Award. He was the starting pitcher for the American League in the 1971 All-Star Game, and for the National League in the 1978 All-Star Game. In the same year, a Detroit singer named Albert Jones recorded a stomping funk song entitled "Vida Blue" that paid homage to Vida's skills. 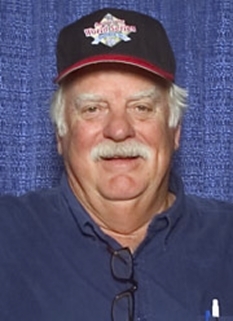 Blue won 20 games in 1973, 17 games in 1974, and 22 games in 1975, as an integral member of the Oakland Athletics five straight American League Western Division pennants from 1971-1975, and three consecutive World Championships in 1972, 1973 and 1974. With new baseball free agency laws looming in 1976, baseball commissioner Bowie Kuhn vetoed an attempt by Oakland A's owner Charlie Finley to sell Blue to the New York Yankees. Again in 1977, Kuhn cancelled a proposed trade of Blue to the Cincinnati Reds. In both instances, Kuhn said the trades would be bad for baseball because they would benefit already powerful teams without making them give up any significant talent in return. 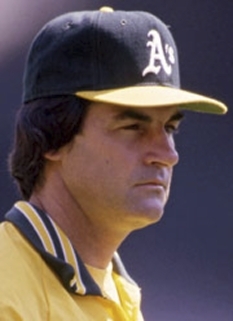 At the end of the 1976 season, nearly the entire A's roster of star players from Oakland's championship teams left with baseball's new free agency, or were traded off by Finley, leaving Blue, who was still under contract with Oakland, to mentor a new team of primarily rookies and other young players. 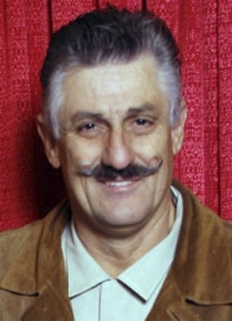 In 1978, Blue was traded to the San Francisco Giants. 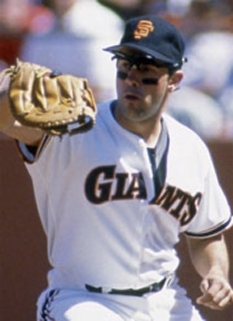 In 1978, Blue won 18 games as he led the Giants to 89 wins and a third-place finish in National League West Division, which was won by the Los Angeles Dodgers. His great year was rewarded as he won the Sporting News National League Pitcher of the Year. In an interesting note, he, along with Chili Davis, were the last players before Ichiro Suzuki to wear their given name on the back of their uniforms instead of their surname, both having done so with the Giants. Blue also made a name and career after baseball for himself in the San Francisco Bay Area by donating his time to many charitable causes, mostly those promoting baseball in the inner city. In 1971, Blue accompanied Bob Hope on his USO Christmas tour of Vietnam and other military installations. Blue currently lives in the San Francisco, CA area. DISCLAIMER: PFP Sports Talent Agency does not claim to represent itself as the exclusive agent for Vida Blue. 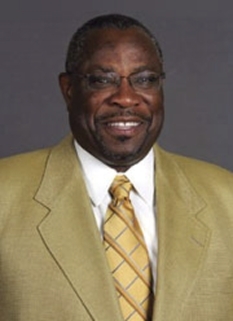 PFP Sports Talent Agency is a booking agency that represents organizations seeking to hire pro athletes and sports personalities such as Vida Blue for speaking engagements, personal appearances, product endorsements and corporate entertainment. Fees on this website are estimates and are intended only as a guideline. Exact fees are determined by a number of factors, including the location of event, the talent’s schedule, requested duties and supply and demand. PFP Sports Talent Agency makes no guarantees to the accuracy of information found on this website and does not warrant that any information or representations contained on this website will be accurate or free from errors. We are often asked how can I find out who is Vida Blue's agent? 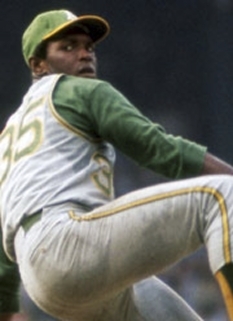 To find Vida Blue appearance fees and booking agent details, you can contact the agent, representative or manager through PFP Sports Talent Agency for speaking fee costs and availability. PFP Sports Talent Agency can help your company choose the ideal sports personality for your next marketing campaign. To hire Vida Blue for an appearance, speaking event or endorsement, contact Vida Blue's booking agent for more information.